We’re teaming up with Salsa Under The Stars SG for another Latin Dance edition of Sunday on the Hill. 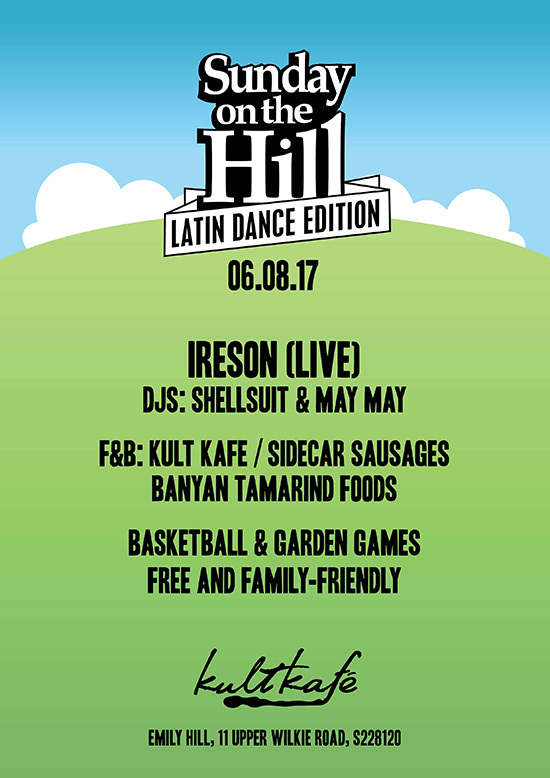 Ireson Latin Band will be performing for the first time at kult kafé, supported by DJs Shellsuit and May May. BBQ and vegetarian food from Sidecar Sausages and Banyan Tamarind Foods. Beers, wine, cocktails and mocktails from kult kafé. $10 Archipelago craft beers all day! Basketball, garden games and loads of space for the kids and dogs to run wild. Come spend a chilled Sunday on the Hill! No outside food and drinks – please support the venue, artists and organisers!